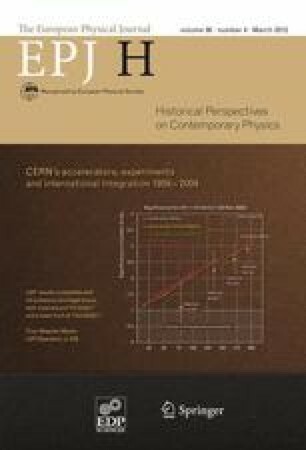 This contribution, a personal recollection by the author, is part of a special issue CERN’s accelerators, experiments and international integration 1959–2009. Guest Editor: Herwig Schopper [Schopper, Herwig. 2011. Editorial. Eur. Phys. J. H 36: 437].